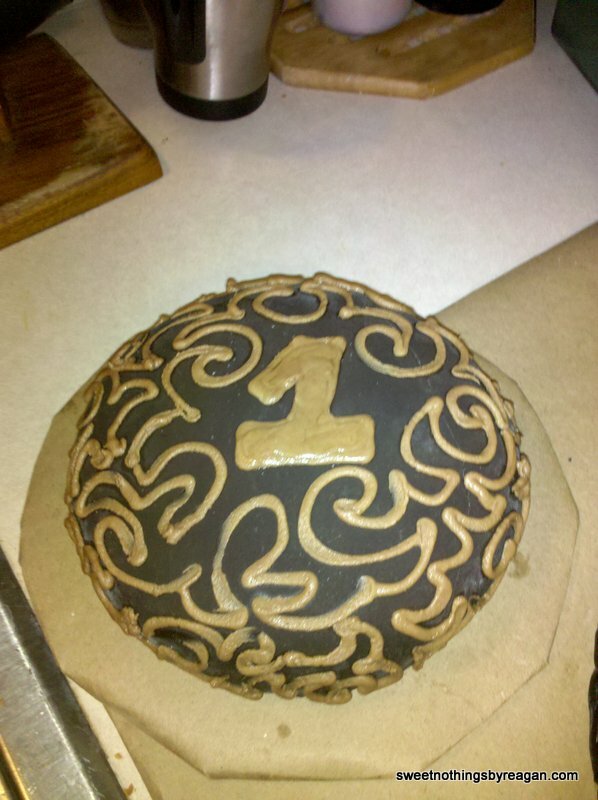 This is the very first sculpted cake I made! And, it was for my oldest son’s first birthday. The boot is a loose interpretation of his daddy’s. 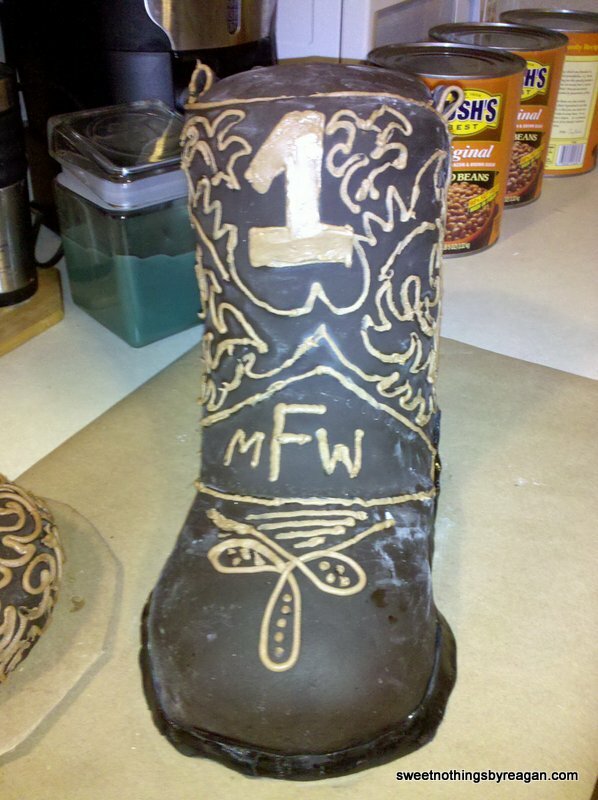 It is covered in modeling chocolate with hand-painted “stitching”. His initials are front and center. The coordinating smash cake is also covered in modeling chocolate with buttercream details. 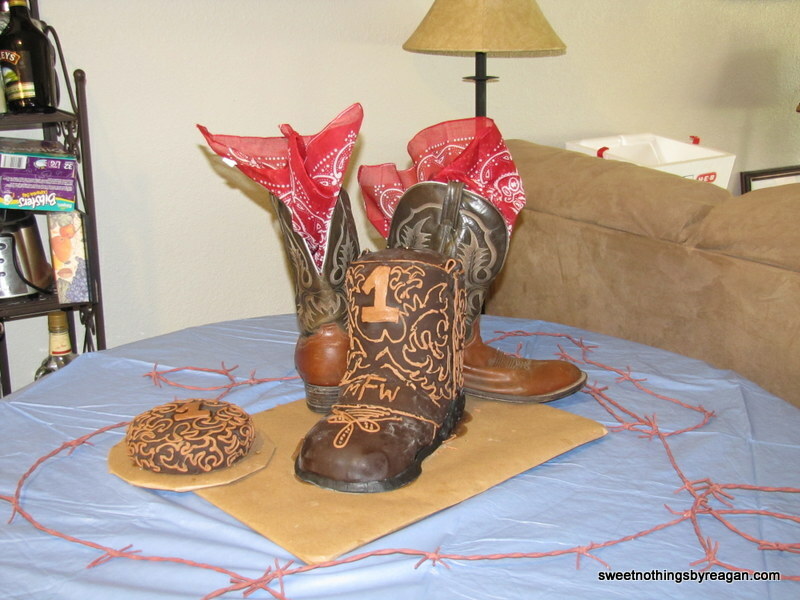 Posted in UncategorizedTagged 1st birthday, boot, boy, cake, country, cowboy, modeling chocolate, smash cakeBookmark the permalink.